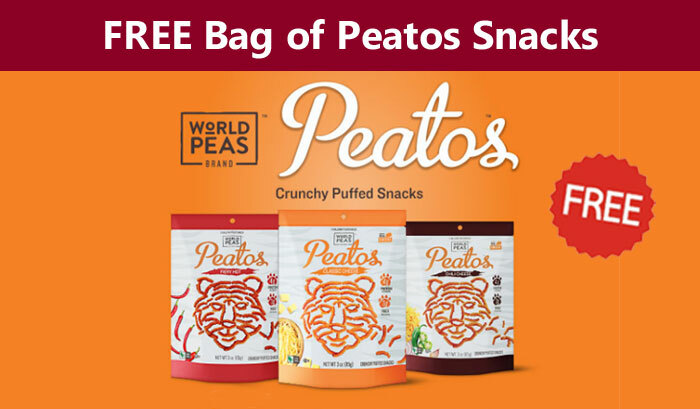 Get your Free coupon for a bag of Peatos Crunchy Puffed Snacks. Peatos are a pulse-based crunchy puffed snack that deliver the bold flavor and big crunch snacking experience we all crave, but without empty calories. Hurry! The coupon expires on April 14th. Good news is you can print more than one and use 2 coupons in the same shopping trip. 130 CALORIES, 0 Carbs, Low Sodium, 4g Protein and 3g of Fibert – GOOD FOR YOU SNACK FOOD: We put everything good into Peatos. Only 130 calories, low sodium. These SuperFoods (Plant Proteins) pack a nutritional punch: non-GMO, gluten free, and sustainably grown, in addition to delivering vitamins and minerals. Unfortunately, none of the stores listed on Peatos website actually carried this product in my area.